Kyla Pratt stops through to the Grand opening celebration for Shiekh’s Newest location in Los Angeles, California. 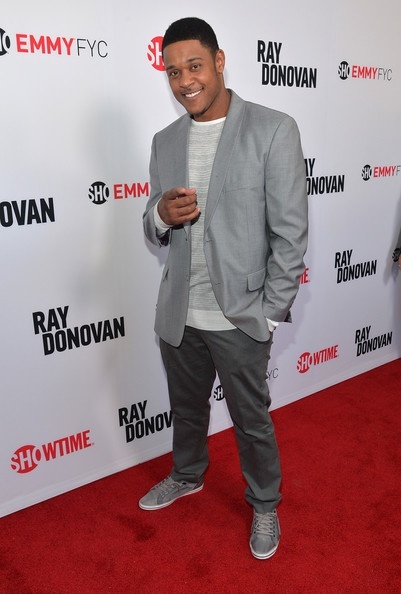 Pooch Hall stopped through the Leonard H. Goldman Theatre in North Hollywood, CALIFORNIA to link up with the cast of Showtime’s “Ray Donovan”. Bobby Brown out in Beverly Hills, CALIFORNIA on Bedford Drive shopping with wifey Alicia Etheridge. HERE are Two great Talented Singers, “Ne-Yo and Miguel” at the Loews Hollywood Hotel in Hollywood, California for the 31st ASCAP Pop Music Awards. Freddie Gibbs and Bay Area producer Mr.Tower EP is set to drop on May 13th and can be pre-ordered on iTunes. Iamsu! & Taylor Gang members Wiz Khalifa and Berner ‘What You Bout’. This will appear on his upcoming album ‘Sincerely Yours’ hitting stores on May 13th. It is available for pre-order on iTunes.